Does eating fat make me fat? This is a commonly asked question in a society controlled by corporations known as “food giants” that push “diet” foods and low-fat/no-fat products. The answer has become quite clear in the last few decades—as Americans became more and more fat phobic, they consequently got fatter and sicker than ever. According to research published in the American Journal of Medicine, in the last 40 years, American fat consumption has decreased from 42% to 34%, yet the obesity rate has increased from 13% to 35%. How is it that a low-fat input has led to such a high-fat output? Let us break down this paradox! According to the American Journal of Medicine, in the last 40 years, American fat consumption has decreased from 42% to 34%, yet the obesity rate has increased from 13% to 35%. Fat does not make you fat, refined carbs and sugar do! Include healthy fats such as avocado, raw nuts and seeds, and extra virgin olive oil at every meal for improved satiation, brain power and hormone balance with less hunger, cravings, brain fog and mood swings. Organic coconut oil is one of our favorite fat-burning fats! Its medium chain triglycerides (MCTs) are quickly burned for fuel rather than stored as fat in the body. Plus, coconut oil is great for medium-heat cooking. To purchase, stop in our Kitchen Market Monday – Friday, 9am – 6pm. Want to learn more on weight loss? Check out our Take It Off, Keep It Off Lunch & Learn. If someone is trying to lose weight/fat, intuitively, they think that dialing back their dietary fat intake is the best approach. In actuality, removing satiating fats from your diet often results in a higher intake of carbs and sugar, foods that are notorious for driving hunger and cravings. When you eat refined carbohydrates (i.e. bread, chips, crackers, etc. ), your blood sugar levels soar, signaling the pancreas to release the fat-storage hormone insulin. Insulin helps move glucose (sugar) from the blood where it is potentially harmful to the body, into the cells where it can be used for energy. The problem is that our cells can only take in so much glucose at a time—and the overflow gets stored in the fat cells for easy access during times of starvation or calorie restriction. Therefore, fat does not make you fat, refined carbs and sugar do! Furthermore, the amount of insulin released from the pancreas is often greater than what is needed. Any amount of sugar in the bloodstream can be rather dangerous, so an overabundance of insulin is essentially a protective mechanism by the body to keep the cells, organs and tissues safe. However, when the level of insulin in the blood is greater than the amount of sugar, the brain is alerted to eat more sugar to compensate. This stimulates the vicious cycle of sugar cravings, which leads to increased hunger, weight gain, energy highs and lows, and mood swings. So how do you break the cycle? You must normalize your blood sugar by decreasing insulin levels! How do you decrease insulin levels? 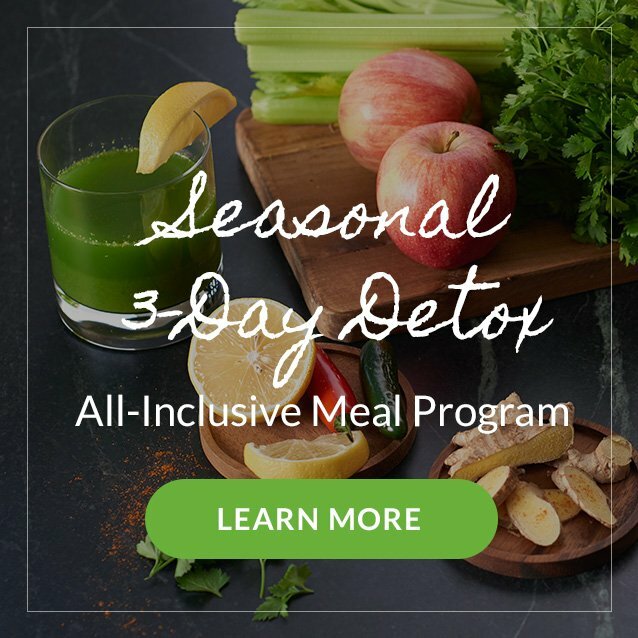 By eating a low-glycemic diet that is lower in carbs and higher in slowly digested foods (i.e. those rich in fat, fiber and protein). Healthy fats are key here because fat is the only food group that doesn’t affect insulin levels. Eat more fat; get skinny! Eat more fat; lower inflammation and the associated risk of illness, disease and chronic symptoms. 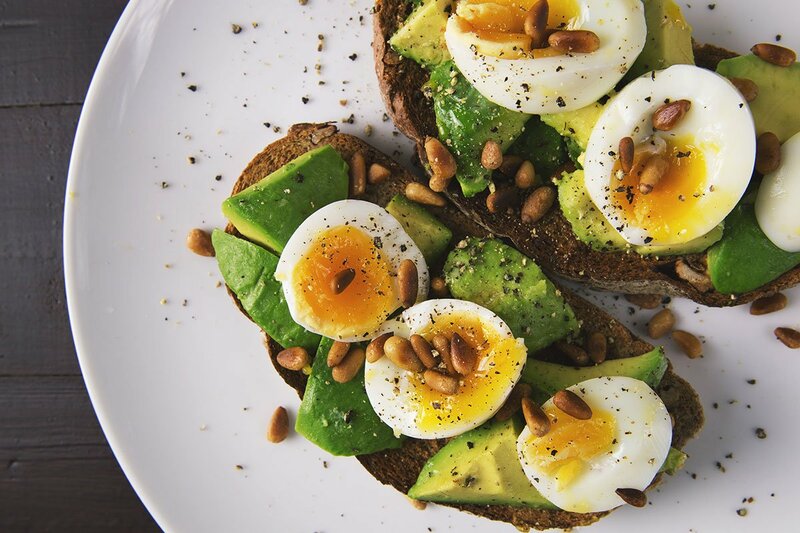 By simply increasing your (healthy) fat intake, you can regain balance in many areas of your life from hormones and nutrient absorption to metabolism, mood and weight. The outer membrane of all cells is predominately fats. These healthy fats allow for fat-soluble vitamin A, D, E and K absorption and toxin elimination, which is essential for daily energy and a strong immune system. Furthermore, our brain is approximately 60% fat; therefore, memory, brain power, focus, concentration, mood and communication throughout the body is largely influenced by your intake of this important macronutrient. Fats lubricate the joints, digestive tract and internal organs, keeping us warm, pain-free and able to easily move our bodies. Finally, healthy fat is required in order to produce and maintain hormonal balance—hormones cannot be produced without fatty acids and cholesterol. 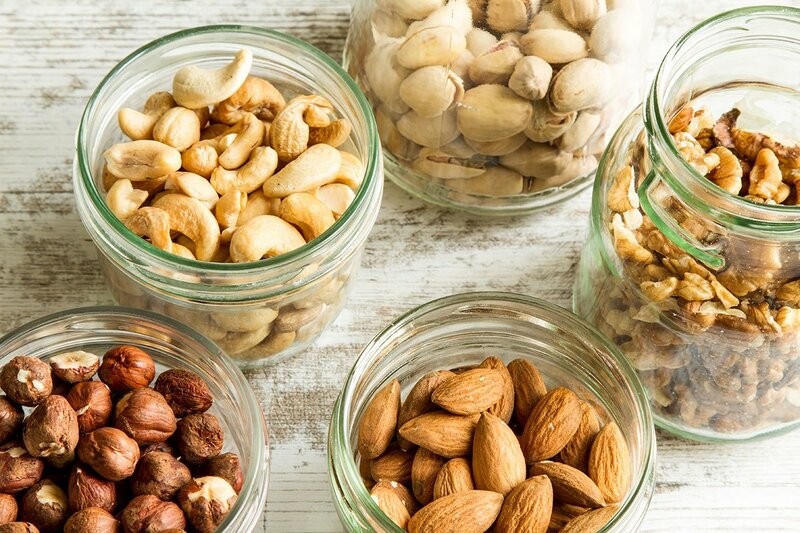 Unless you have a medical condition that inhibits your ability to digest fat, we recommend that you include organic raw nuts and seeds, avocado, extra virgin olive oil and/or coconut milk, oil or flakes at every meal. Organic nuts and seeds, including almonds, pecans, walnuts, hemp seeds, pumpkin seeds and sunflower seeds, make a great grab n’ go snack or topping to smoothies, salads or fresh fruit. When blended until smooth, nuts and seeds form a deliciously creamy “butter” that can be used as the base to dairy-free cream sauces. If you have yet to try a tahini (sesame seed butter) salad dressing, you are seriously missing out! Add all ingredients into blender. Blend until smooth; refrigerate until ready to serve. One of our favorite fat-burning fats is organic coconut oil. This saturated fat is made predominately from medium chain triglycerides (MCTs), a unique type of fat that is quickly burned for fuel rather than stored as fat in the body. Use coconut oil for medium-heat cooking or add it to soups, smoothies, sautées or even your morning cup of coffee! For high-heat cooking, we suggest using an organic avocado oil—its higher smoke point of 520°F prevents it from turning to a trans fat when heated at higher temperatures. 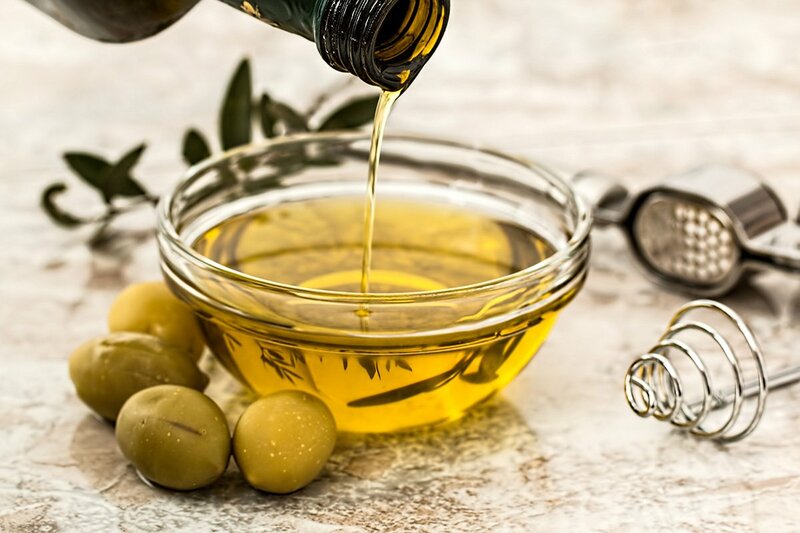 Extra virgin olive oil, on the other hand, should only be used for raw preparations such as salad dressings. Due to its lower smoke point of 375°F, when it is heated above this temperature, it burns and becomes rancid. Rancid oils create free radicals that are acidic, inflammatory and carcinogenic. Bottom line, dietary fat is crucial to whole body balance. It is not only delicious, but also essential to satiety, proper hormone function, brain health, lubricating the joints, keeping us warm and maintaining a healthy body weight. When you move away from heavily processed, packaged, high-carb and sugar-laden foods and include more healthy fats in your diet, you will notice a very positive shift towards health, happiness and satisfaction that may have been lacking for many years. Bon appetite!